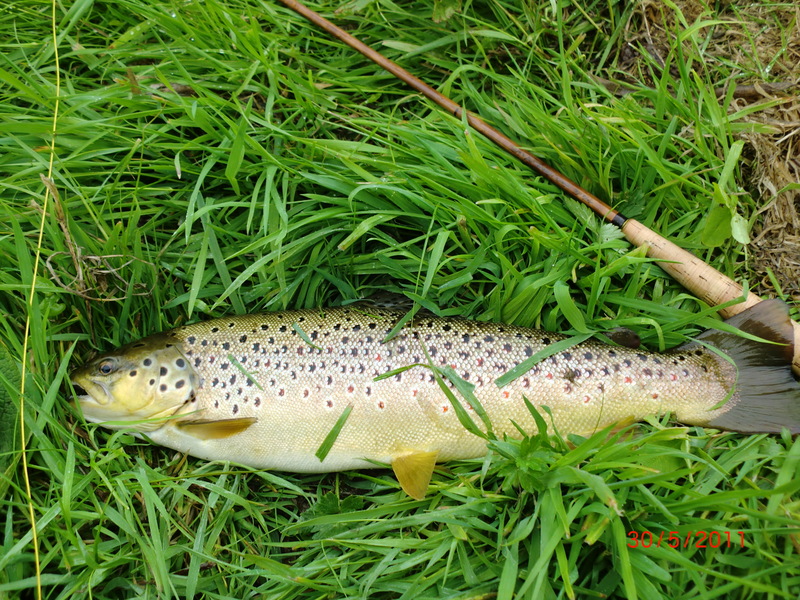 A difficult day in changeable weather, when I was advised to “bring a good selection of weighted nymphs”, did, nevertheless yield one trout, to an Elk Hair Caddis. 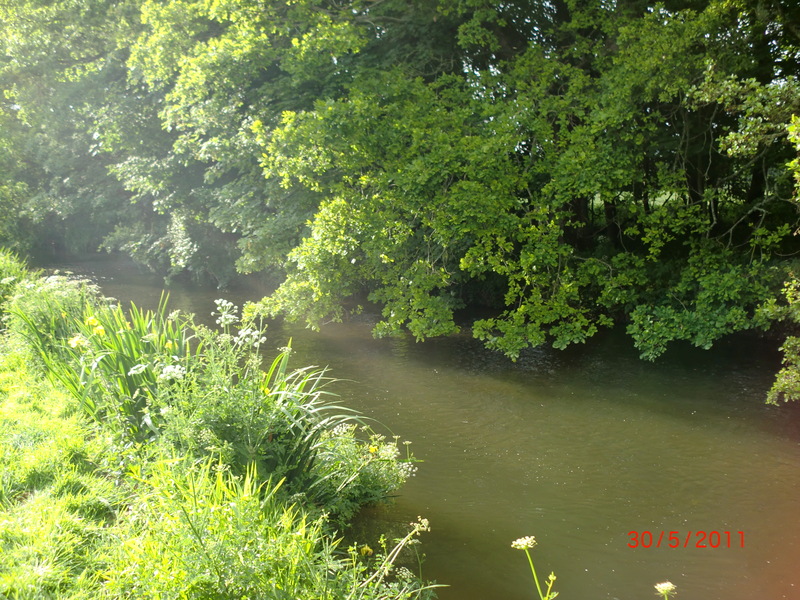 My second visit to the Frome was entirely better….memorable, fulfilling and a complete joy! Stephen Wingfield Digby and I worked together some five years ago, and prior. The wretched ‘Big C’ took away the Mother of his three adult children, but he found a new happiness with Sylvia, who herself had lost her Husband to the same terror. Their’s is A Love Story, and few will forget their ‘coming out’ in Brewers Hall, when said Diggers, proudly presented his Fiancee to our Company, his smile had to be seen to be believed! 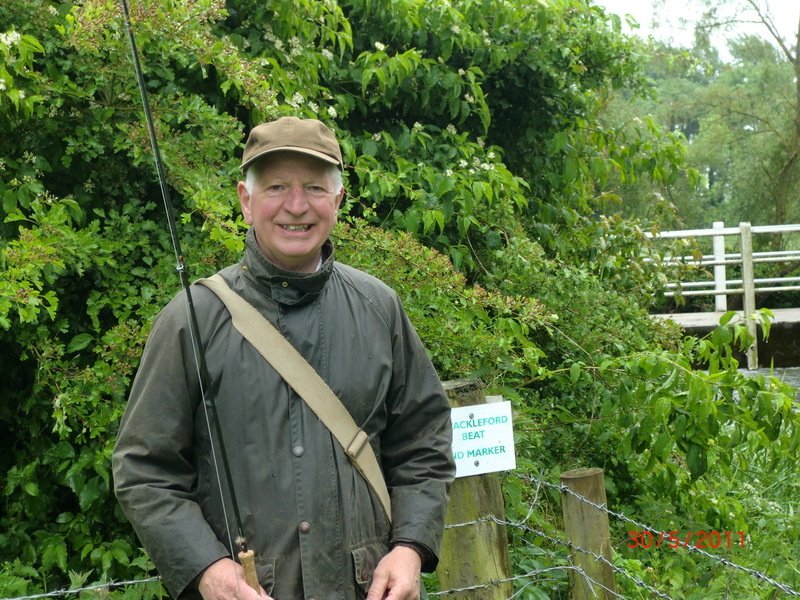 He is a ‘Shot’ of note, a salmon fisher by preference, and a beautiful presenter of a dry fly to a rising trout….and when he learned of my quest, he generously invited me to fish the famed Wrackleford beat (see Trout & Salmon, March 2010) where he has two rods on Mondays through the season. A few casts, some with nymph, and some with an enticing yellow humpy, only produced one bit of interest. 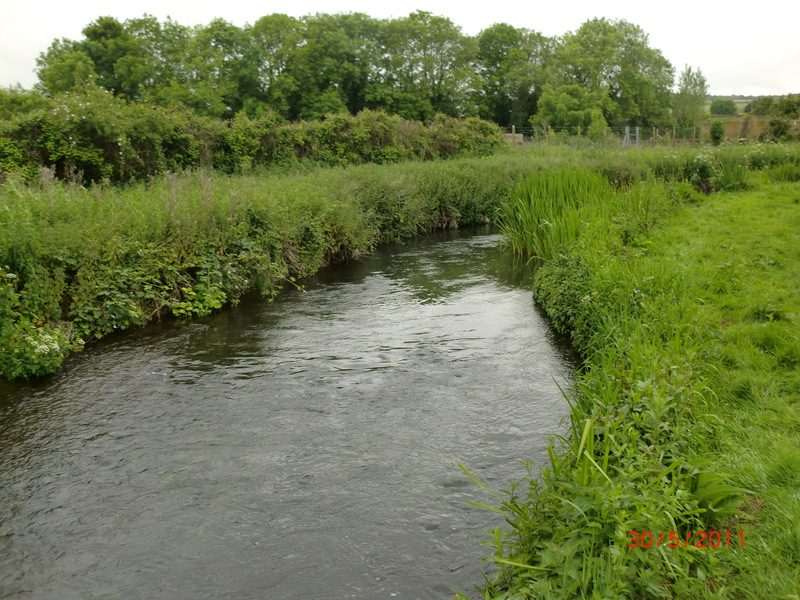 But we walked the entire length of this section, with me looking for likely lies…and spotting many, whilst not seeing many fish, which I judged to be in the weedy margins or at the bottom of the many pools, but there was still a very strong sense of anticipation, about. And whilst when we ventured out in the afternoon, there was still moisture in the air, the clouds were breaking and the temperature was noticably higher and at the bottom of the beat some Mays were hatching to the odd ‘gollop’ and the splashy rise of eager trout, and two jumped out of the water in their enthusiasm to feast, and suddenly all looked good ! Two fish came up to my (last!) 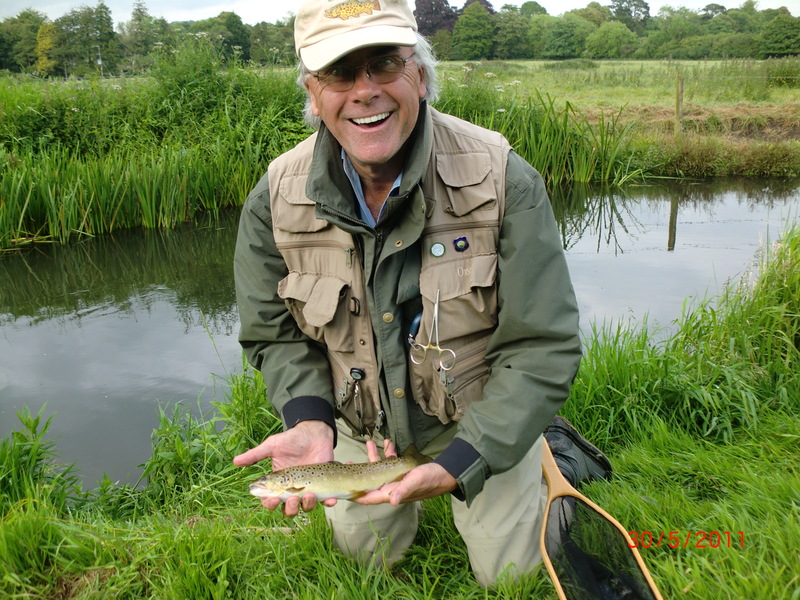 Webster’s Infallible but were missed, before the next nailed it and my first brown came to net. Stephen convinced me that the Wrackleford stocking policy is such it was almost certainly, a wild fish. I met Stephen’s other guest, who had already caught six fish! Stephen is Chairman of the Governing Board of the renowned Sherborne School, and his guest is Chairman of another. But I was flattered to realise that he was invited on that day for another reason. For Phillip Jones was until 2007, the Head Master of my Alma Mater…Christ College in Brecon, where, of course, I learned to fish….we had interesting chats through then until the evening’s end after supper, of that special school, and how he sought and did influence proceedings in his time, and compared with mine! 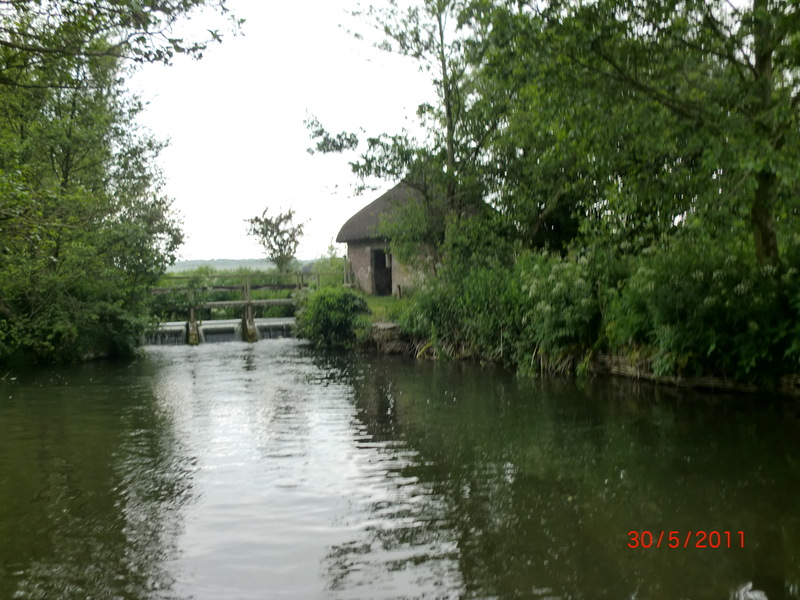 and after a Pimms break at six, it was back to fishing. But the temperature was dropping, and the dancing Mays, hatching olives, and skittling caddis of before ourdrinks break, had disappeared, and there were to be no more fish…just the prospect of Sylvia’s lovely dinner. There’s more to fishing than catching fish! 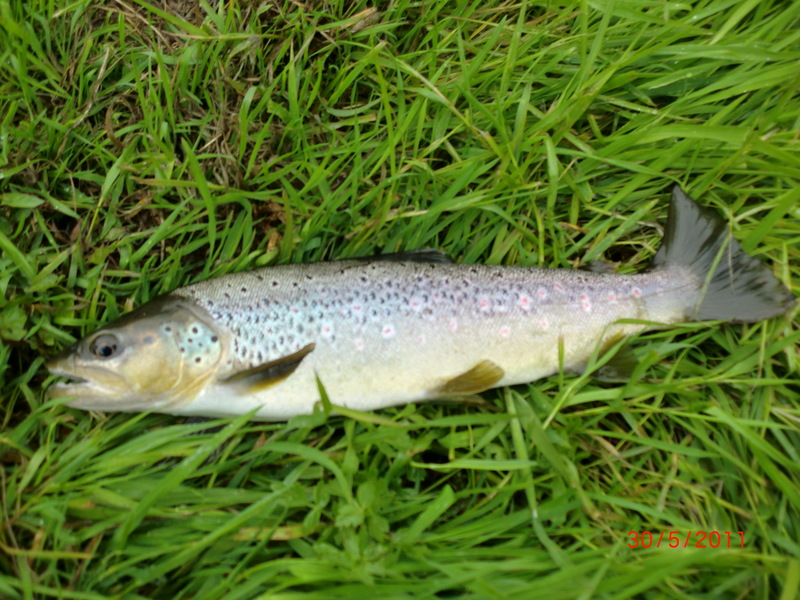 Interesting post script – Stephen would have killed my big brown…for he judged it to be quite old, but more importantly, it probably predates on small browns. I must reflect on this piece of fishing wisdom. Oh, how I envy you. Season has not yet begun here in Iceland as we’re apparently not getting any summer! At least not yet… I’ll be fishing in our beloved Laxa in July, I’ll be sure to turn the tables then and make you envy me 😉 Give my best to the honest one.